Your humble FBF correspondent is recharging his batteries this week, but please don't think there was any intention of leaving you empty-handed this weekend. Check out the cool blues videos below and be sure to stop by next Friday for our regularly-scheduled edition of Friday Blues Fix. Today, I'm going to share a few of my favorite things....songs and/or artists that put a little hop in my step whenever I hear them. 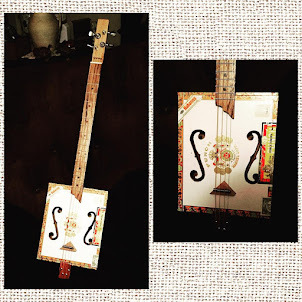 I know everybody has their own favorite tunes or performers, but maybe you will nod your head in agreement when you see these. First up is Mr. Larry Garner. Garner just returned from touring over in Europe and last week won a local BBQ competition. 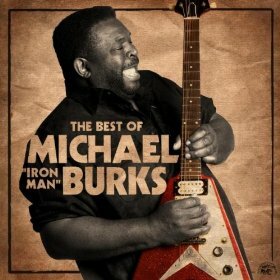 Now that is a well-rounded bluesman if I've ever seen one. 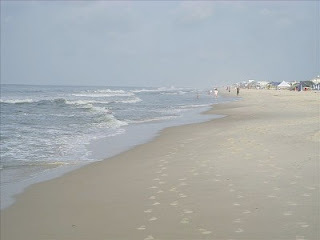 This is one of my all-time favorite Garner songs....."The Road of Life," a tune from his Baton Rouge CD encouraging us to work through those hard times, get up, dust yourself off and get back on the road.....sound advice for sure. If this guy is ever in your town, or near your town, go see him. You will be glad you did. Taj Mahal always puts a hop in my step, and a smile on my face. I found this clip on YouTube this week. I had not seen it since the late 80's, when it was broadcast on the late night weekend show, Night Music, which from what I remember was kind of a fun show with an eclectic lineup. This particular version of "She Caught the Katy" features Taj Mahal with an interesting band that includes Todd Rundgren, Night Music host David Sanborn, and bass player Marcus Miller (with the show credits marring the last half of the song...sorry about that). The best thing you can say about Taj Mahal is that he makes whatever he does fun for everybody. You won't be seeing a lot of frowns at a Taj Mahal performance. One of the highlights of the recent documentary, We Juke Up in Here, was Louis Arzo "Gearshifter" Youngblood. 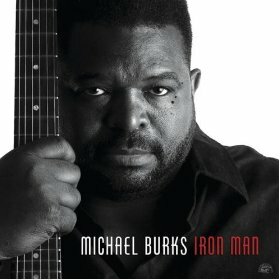 He combines country blues with urban blues and even some old school R&B. He's a talented guitarist and a charming performer. He's also a rarity in that he's as talented on acoustic guitar as he is on electric, as viewers of We Juke Up in Here will surely testify. 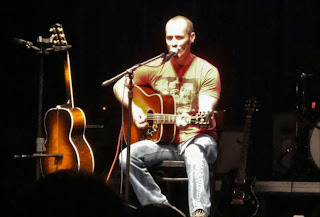 Here's a great example of Gearshifter in action from a 2009 performance in Hattiesburg, MS. Finally, here's one more clip of the late Michael Burks, performing one of my favorite songs, Dion Payton's "All Your Affection is Gone." 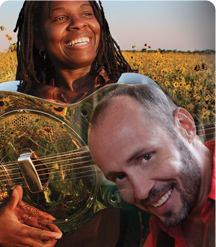 It must be a good song, because it's been covered by several blues artists over the past twenty-five years. 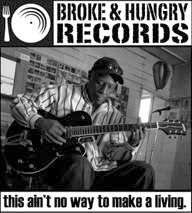 A veteran of Lonnie Brooks' band and also leader of the 43rd Street Blues Band, Payton released this song as part of Alligator's anthology of young Chicago Blues artists, The New Bluebloods, in 1987, later signed a record deal with Virgin Records, but soon disappeared from the scene, a victim of drug addiction. 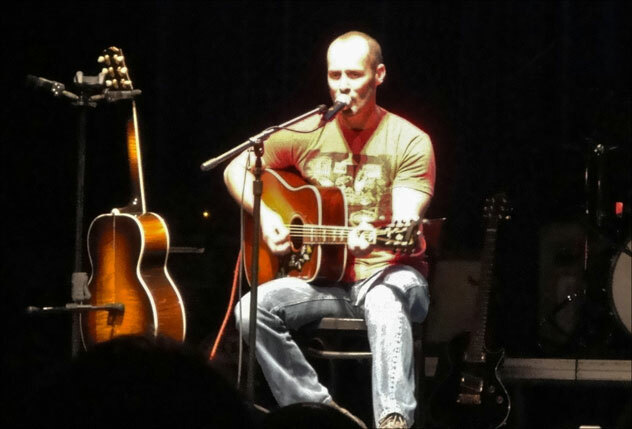 Recently, Payton has returned to the Windy City blues scene, albeit irregularly. In the late 90's, Carl Weathersby covered the tune on his incredible debut release, Don't Lay Your Blues On Me. 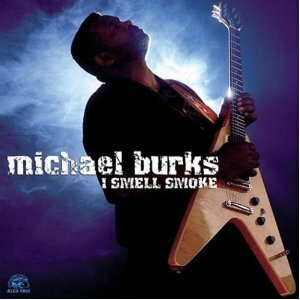 Finally, Burks' scorching version kicked off his I Smell Smoke CD. Listening to the three versions, it's hard to pick a favorite. Sadly, we lost Burks a couple of weeks ago, and Weathersby is slowly bouncing back after battling health problems in recent years. I sure wish Dion Payton had fulfilled his early promise as a performer and a songwriter, but hopefully, there's still time for him. I first heard Booker T. & the MG's on the American Graffiti soundtrack. I was probably sixteen or seventeen and had started getting into 50's and 60's rock & roll, then rhythm & blues. It was next to impossible to hear any of it where I lived except on Sunday nights, when WLAC out of Nashville would play an oldies show for a couple of hours. One day I found the Graffiti soundtrack in the budget rack at my favorite record store. There were plenty of great old school songs on there, but my favorite of them all was the MG's ultra-smooth, ultra-funky "Green Onions." From there, I found a Booker T. & the MG's cassette tape with that song and many others on it. 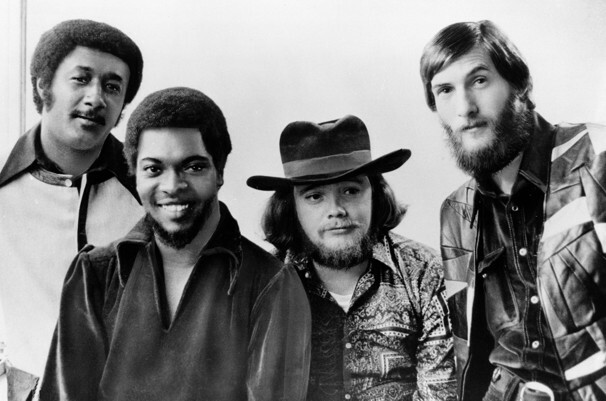 From there, I started getting into the Memphis soul sound that the band was such a large part of developing. If you've listened to anything recorded in Memphis during the 60's, chances are that Donald "Duck" Dunn played bass on it (although, ironically, he didn't play on the actual single release of "Green Onions"....Lewie Steinberg played bass on that track and was the bass player for the band during their beginnings until 1965). As a member of Stax Records' house band, Booker T. & the MG's, Dunn started out with his friend, Steve Cropper, in the band, the Mar-Keys, playing clubs all over the Memphis area, influenced by all the great R&B being played in the Bluff City. Later, he backed soul legends like Otis Redding ("Sittin' on the Dock of the Bay"), Wilson Pickett ("In the Midnight Hour"), Sam & Dave ("Soul Man"), Eddie Floyd ("Knock on Wood"), and, of course, dozens of Booker T. & the MG sides that sound as great now as they did back then. 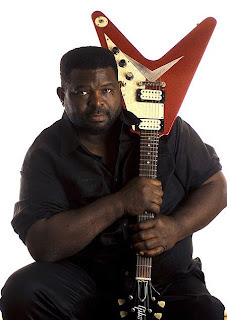 Dunn also provided the groove for blues master Albert King's Stax recordings, including "Born Under a Bad Sign," "Crosscut Saw," "Laundromat Blues," and many others. He remained with Stax until the label folded in the mid 70's, moving on to be an in-demand session player and producer. Most blues fans also recognize him as the pipe-smoking bass player in the Blues Brothers band and movies and he did play with them for many years, but he also appeared on recordings by Rod Stewart, Eric Clapton, Muddy Waters, Bob Dylan, Stevie Nicks (on her duet with Tom Petty, "Stop Draggin' My Heart Around") and many others during the same time. In more recent years, Dunn had still been playing with Cropper. 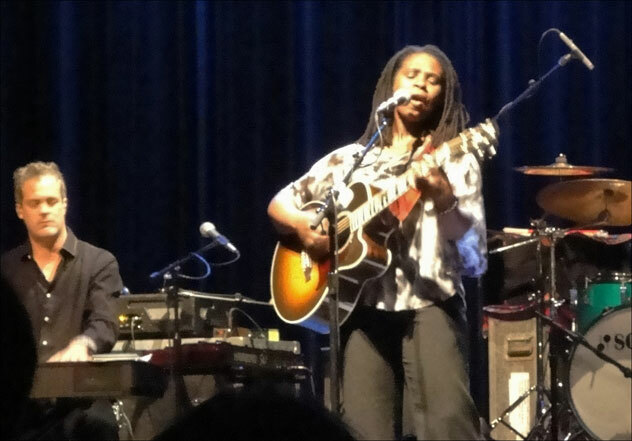 The two of them reunited with Booker T. Jones to serve as the house band during Clapton's 2004 Crossroads Guitar Festival. 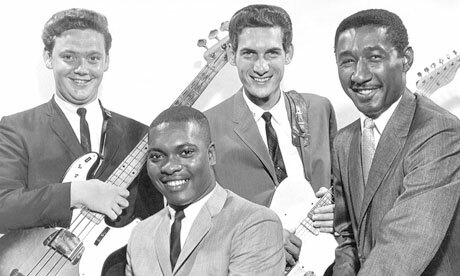 The three of them continued to perform (with drummer Steve Potts) as Booker T. & the MG's. He was in Japan as part of a tour with Cropper and Eddie Floyd when he died in his sleep after finishing a show. He was 70 years old. One thing I always remembered about Dunn, and the rest of the MG's was the economy in which they played. All of them were believers in the "less is more" theory of music.....why jam every note possible into a song when a few well-placed one will say just as much and say it more effectively. 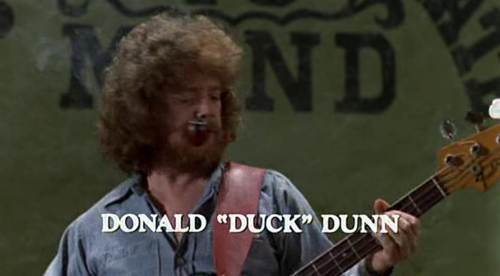 The music collection of any blues fan should include at least one Booker T. & the MG's recording, and Donald "Duck" Dunn is a big reason why. I've had a lot of excellent new CDs cross my path over the past few weeks, some of which you can read about in the upcoming May edition of Blues Bytes. FBF will look at a few of these new arrivals over the next few posts. Over the years, there have been lots of "all-star" bands, consisting of members of other groups who collaborate to make music that may be a bit different from what they usually produce. 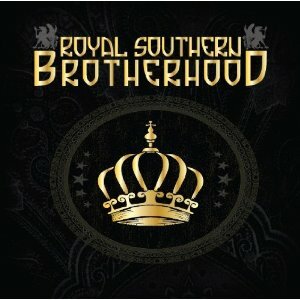 While many times, the results can be less than stellar, in the case of the Royal Southern Brotherhood, everything falls right into place. 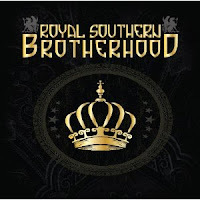 RSB consists of Cyril Neville of the Neville Brothers, rock/blues singer/guitarist Mike Zito, singer/guitarist Devon Allman (Gregg's son), bass player Charlie Wooton of the Woods Brothers, and drummer Yonrico Scott of the Derek Trucks Band. 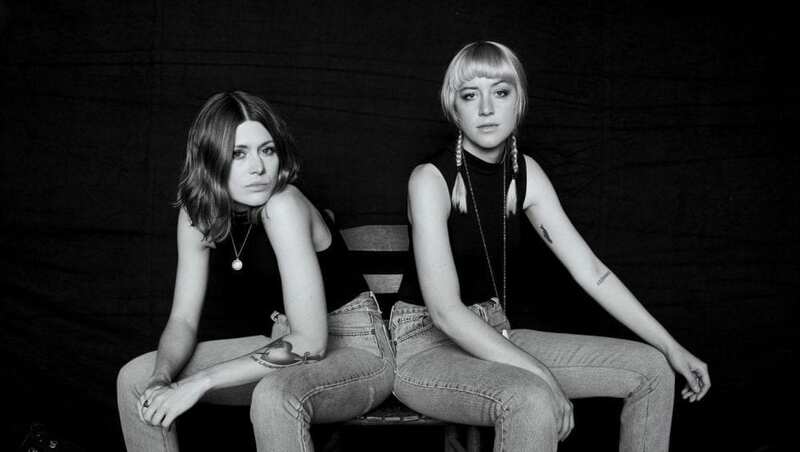 Their debut release, on Ruf Records, is a first-rate set of tunes. Neville, Zito, and Allman take turns behind the mic and the twin-guitar attack of Zito and Allman is awesome. While I was very familiar with Neville and enjoyed Zito's recent Pearl River CD, Allman was a pleasant surprise and hopefully, this appearance will get him some much deserved attention. 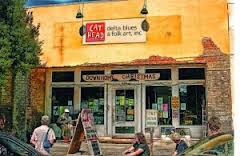 If you like Southern blues/rock and the New Orleans funk so prominent in the Neville Brothers' sound, this CD offers both in healthy doses. You may not know who Charles "Skip" Pitts was, but if you've listened to any music over the past fifty years, there's an excellent chance that you heard him play guitar. Pitts, who passed away on May 1 after a long battle with cancer, was considered a master of the "wah wah" style of guitar, most notably on Isaac Hayes' funk classic, "Theme From Shaft," one of the baddest songs of all time. 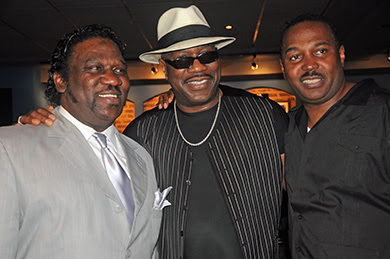 That song was but the tip of the iceberg for the musical career of Skip Pitts. 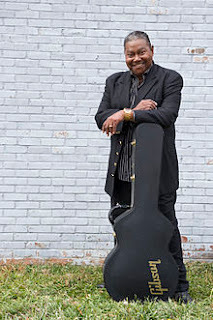 Pitts first learned to play guitar on the street corners of his native Washington, D.C. and landed an appearance on a recording at age 17 (Gene Chandler's "Rainbow '65"). 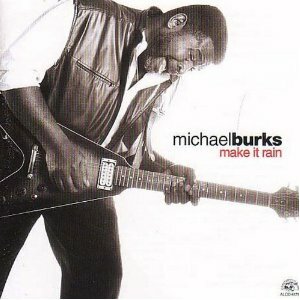 He then worked for Wilson Pickett as guitarist/bandleader for his band, the Midnight Movers, before joining the Isley Brothers in 1969 and creating the funky riff for the Isley's big hit, "It's Your Thing." 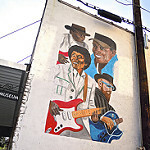 Pitts moved to Memphis in 1970, working for Stax Records and serving as guitarist and bandleader for Hayes until Hayes' death in 2008. In addition to "Theme From Shaft," Pitts appeared on Stax tracks for Rufus Thomas, the Soul Children, Albert King, and many others. 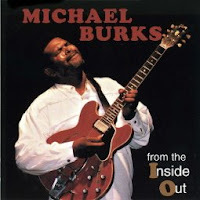 In 1998, he helped found the Memphis soul/jazz group, The Bo-Keys and recorded two well-received albums (The Royal Sessions and last year's Got to Get Back! which featured soul/blues legend Otis Clay on the title track). 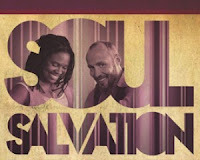 In recent years, Pitts also appeared on Al Green's secular comeback CD, I Can't Stop, and Cindy Lauper's Memphis Blues. 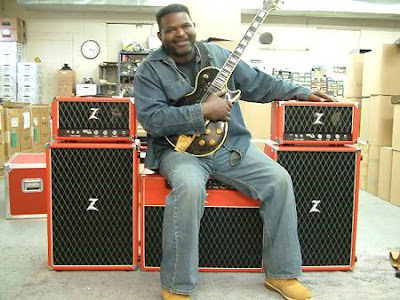 Over the years, he has influenced many guitarists (anybody who's ever made a guitar go "waka waka" should have mailed him a royalty check) and his guitar work has been sampled by dozens of artists like Dr. Dre, Snoop Dogg, and the Beastie Boys. Skip Pitts was 65 years old. If by some astounding chance you've never heard him, please do yourself a favor and check out either of his Bo-Keys albums to find out what the fuss was about. Trust me, you will want to hear more. Over the past couple of weeks, FBF has been looking at some must-see DVDs, past and present. Let's continue looking at a couple of other recent releases that are worth seeing. 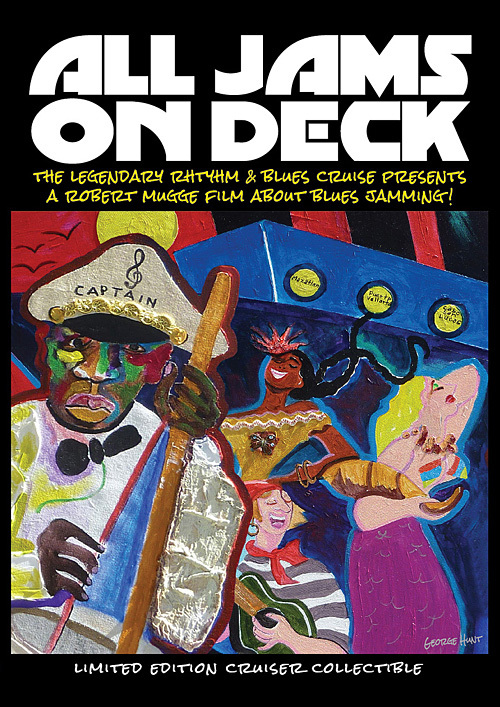 For many, the highlights of each Legendary Rhythm & Blues Cruise are the late-night "pro jams" that take place on the aft pool deck. 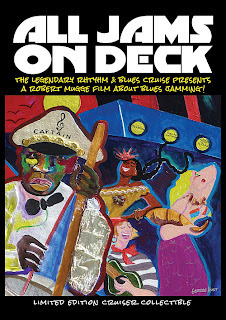 Filmmaker Robert Mugge (Deep Blues, Gospel According to Al Green, Last of the Mississippi Jukes, etc....) documented the October, 2010 cruise's pro jams, along with other jams taking place during the week. In addition, a number of musical participants (including Tommy Castro, Elvin Bishop, Marcia Ball, Kim Wilson, Johnny and Edgar Winter, Larry McCray, Lee Oskar, Coco Montoya, Rick Estrin, Jimmy Thackery, John Nemeth, Sista Monica Parker, Vasti Jackson, and Eden Brent), along with Sirius XM's Bluesville program director Bill Wax and blues/jazz historian Bob Porter, offer their thoughts on the history, techniques, and even proper etiquette of blues jamming. 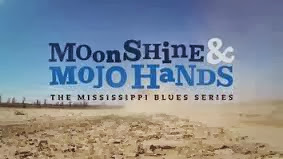 The DVD captures a lot of great performances during the jams and also during a series of demonstration sessions featuring guitar, piano, and harmonica. This is a fun video to watch and can be had for just the cost of shipping ($5.95) by ordering it from the LRBC website. Not a bad deal for nearly 90 minutes of great blues music by some of your favorites (see below). 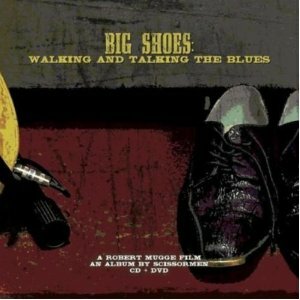 Mugge has another recent release, Big Shoes: Walking and Talking the Blues, which documents the travels of Scissormen, which features the incredible slide guitar of Ted Drozdowski (who won the Keeping the Blues Alive Award for Journalism in 1998 and has served as consultant for several films, including Scorsese's The Blues mini-series) and drummer R. L. Hulsman (who has been replaced by Matt Snow since the movie was filmed). Scissormen mixes Delta Blues, Hill Country, and a dash of psychedelic rock and Drozdowski's scorching slide work combines the best of Elmore James with Sonny Sharrock. 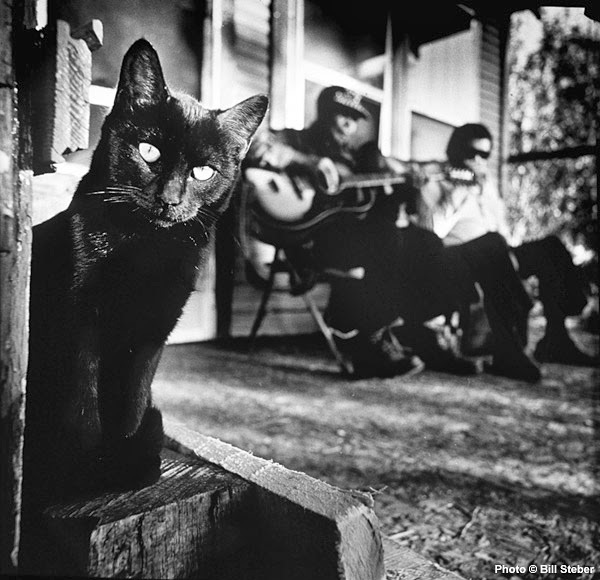 Mugge hoped to show how the group pays tribute to past masters like R. L. Burnside, Junior Kimbrough, and Jessie Mae Hemphill, while doing their part to continue the music to appeal to new and future fans. The band's performances are mixed in with discussions about the music with Charlie Noble, owner of the Key Palace Theatre (where the CD portion of this set was recorded) in Redkey, Indiana, Hal Yeagy, owner of the Slippery Noodle in Indianapolis, and Cindy Barber, owner of Beachland Ballroom and Tavern in Cleveland.....plus there's a visit to Gennett Records in Richmond, Indiana, where Charley Patton and many legendary blues and jazz artists were recorded in the 20's and 30's. Drozdowski is a perfect host with his narrations during the drives, his rapport with his audience and the club owners, talking about his influences, and never taking himself too seriously. It's obvious he's having a big time, because he's as much a fan as he is a musician, so he gets to experience it on both sides, something we, as fans, would love to do. As I've told you before, I don't get to attend many festivals or concerts these days, but I seldom pass up a chance to see anybody perform at the Riley Center in Meridian, MS. This Saturday night at the Riley Center offers the Soul Salvation tour with Ruthie Foster and Paul Thorn. Many blues fans will be familiar with Foster. 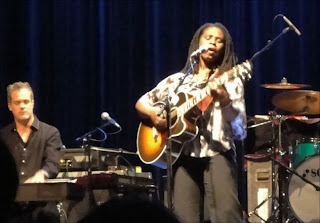 Her latest CD is Let It Burn, but her previous effort, The Truth According to Ruthie Foster, was nominated for a Grammy. Thorn has a new release, What the Hell is Goin' On, that I haven't heard yet, but his previous release, Pimps and Preachers, was outstanding and stayed at the top of the Americana charts for nearly a month when released in 2010. Both artists have roots in gospel, but their music also mixes blues, soul, and R&B as well, so I can't wait to hear them together. Naturally, I'll tell you all about it next week.